Yesterday in class we put together some of our skills by learning how to transition the hoop on and off the body. It’s like connecting the dots! One of the transitions, lifting the hoop off your waist and over your head, is giving me a run for my money learning it. I don’t know why I can’t wrap my head around it. Maybe it’s my brain subconsciously protecting my glasses. Perhaps I’m over thinking it. One thing, though, with time and practice, I will get it. We also learned how to do a basic isolation. I see hoopers all the time doing them, and now I know how, too! I need to get my upper body strengthened so I can make them cleaner. That again will take practice and perhaps some yoga. On the hoop acquisition side of things, I got my hoops from Jenny for her doubles hooping class next month. 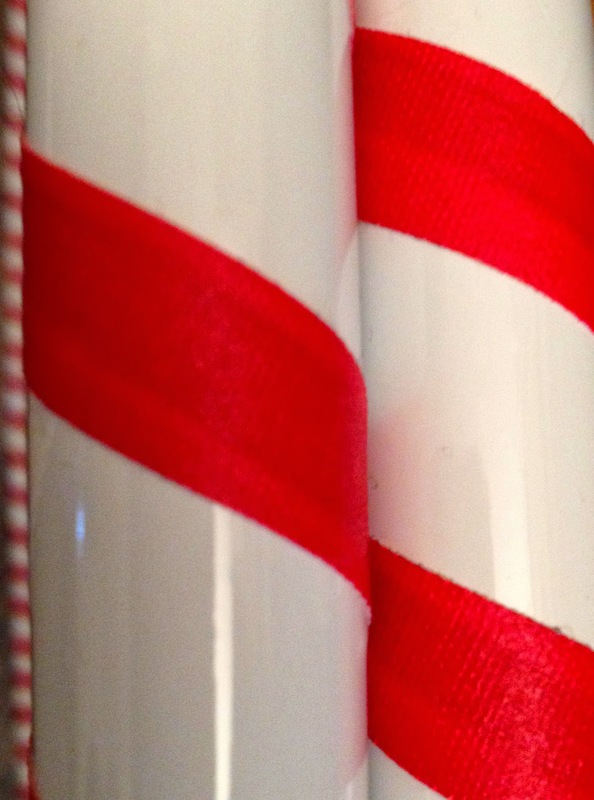 They look like candy canes and are gorgeous. Before class started, I practiced hooping both of them at the same time around my waist, and I managed it. Fun! As usual, I am sore from all of that hard work last night, but it hard work that is very much worth while. I wouldn’t have it any other way.